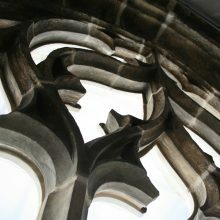 The Cloister Museum (part of the Metropolitan Museum of Art) houses a collection of European Medieval art works in its 1930’s building atop a promontory in the north end of Manhattan, NY. 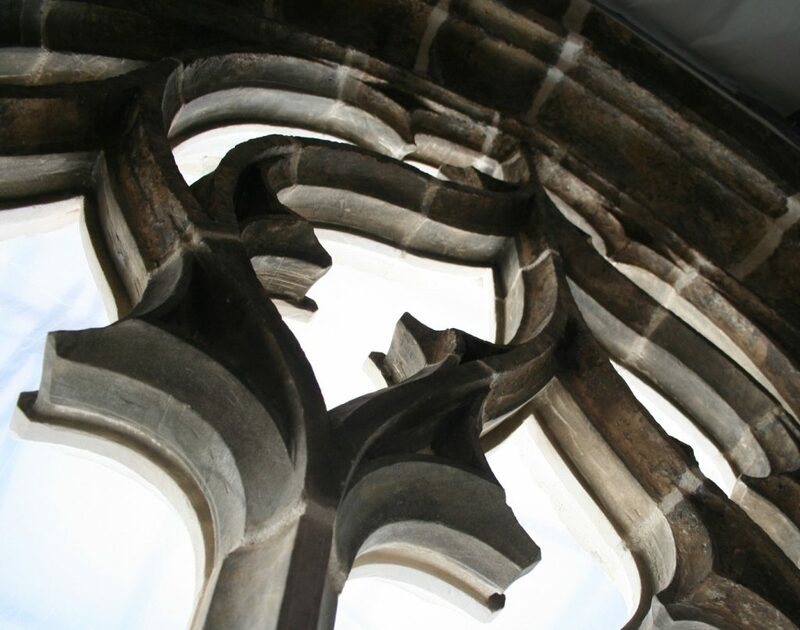 Among its attractions are the many Medieval architectural fragments that are integrated into the building itself. 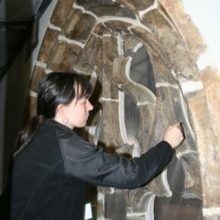 Along with ancient cloisters and an apse are a series of four late Gothic limestone windows from France that are installed in the building wall facing east. 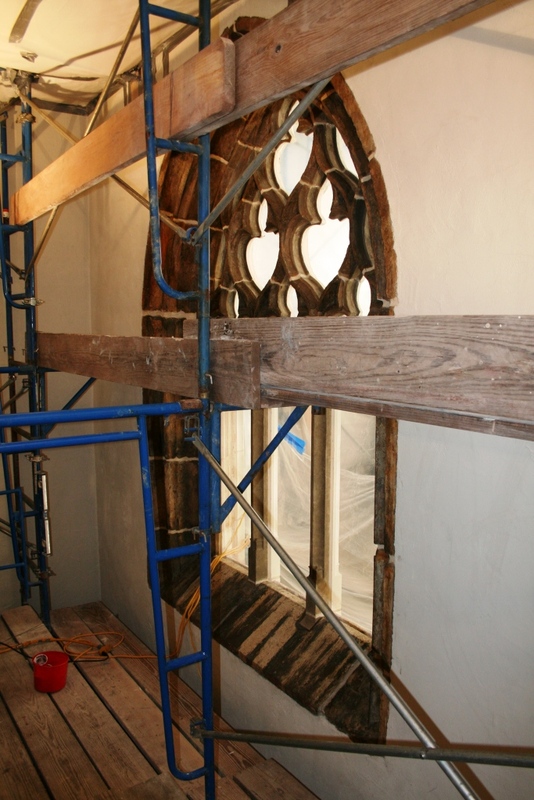 Salvaged from an abandoned 14th Century monastery, the windows feature elegant carved tracery and provide housings for originally unrelated stained glass windows. 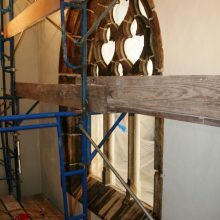 The windows were restored in 2007 in an effort to reduce on-going deterioration of the stone and damage to the stained glass. 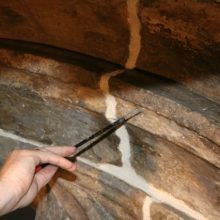 After a substantial reconstruction of both artifacts, the museum contracted with us to study the finishes on the historic stones and develop a means of preserving the existing originals while esthetically integrating new and replacement stones. 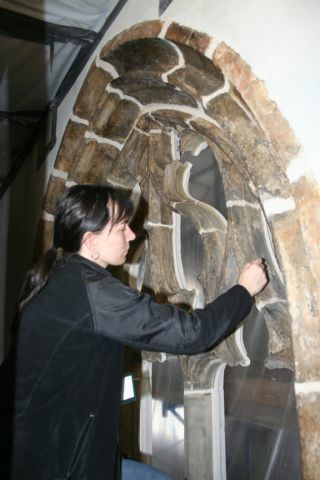 Working with the museum’s conservators, we tested a number of cleaning and consolidation methods and materials and prepared mock-up samples of possible treatments for approval by the curator. Upon acceptance of the samples, we proceeded with application of the treatments. After vacuum cleaning, all interior surfaces were carefully washed with an anionic detergent solution. 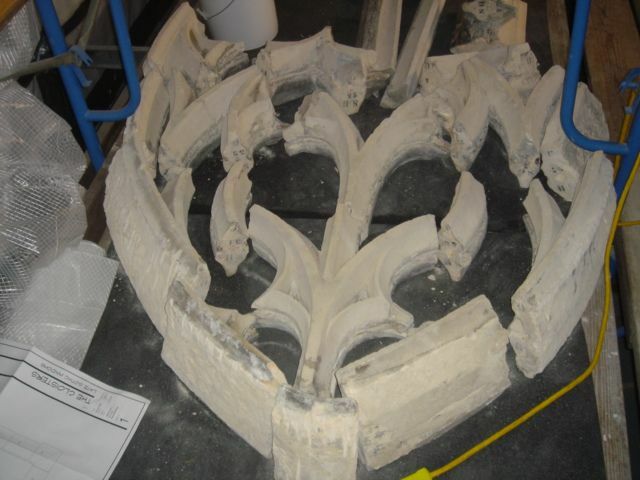 Existing fragments of the historic plaster and paint finish were then consolidated with a dilute methyl-methacrylate solution. Losses in the numerous paint campaigns were in-painted with acrylic washes. 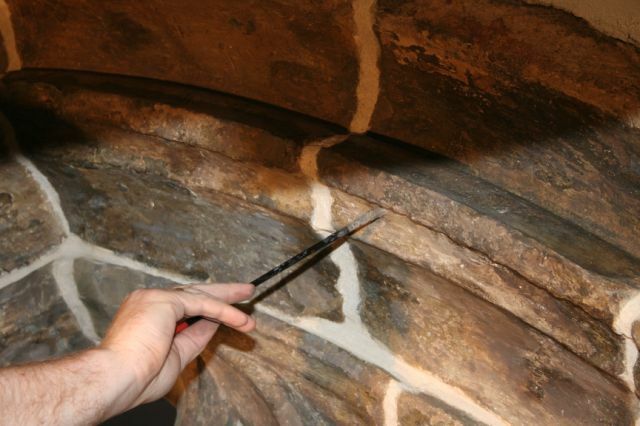 The new stone and mortar joints were then toned using watercolors. 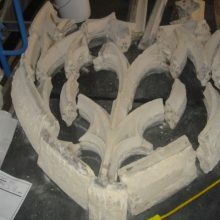 All work was documented and a treatment report was submitted at the completion of the project.